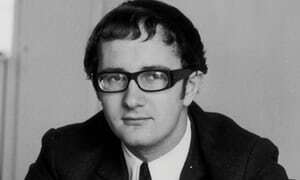 Tony Calder, who had his hand in promoting numerous hits for some of the biggest British acts, has died at the age of 74 after suffering complications of pneumonia. Calder, who was born in Surbiton, Surry, England, began his career in the early 1960's at Decca Records where Brian Epstein hired him to promote the then unknown Beatles' debut single "Love Me Do". Tony sent hundreds of copies of the single to clubs around the country, forcing demand at local record stores who had to stock the record. In 1963, Calder and Rolling Stone promoter Andrew Loog Oldham formed Image, the country's first independent PR company for promoting popular music. Together, they moved early Rolling Stone hits like "Red Little Rooster" into the public eye. It was also during this time that Calder made his first and only foray into record production, working with Marianne Faithfull on such songs as "This Little Bird" and "Come and Stay With Me". Two years later, Calder and Oldham formed Immediate Records, another UK first as a major independent label. Over the next four years, they would be responsible for breaking the careers of such legends as the Small Faces, Rod Stewart, Fleetwood Mac, the Nice and Chris Farlowe. Calder left Immediate in 1969 and joined forces with David Apps, finding and doing the initial promotion of the Bay City Rollers. In 1975, he became the CEO of NEMS Records, signing Black Sabbath and Faithfull, but left the next year to work with fashion designer Ossie Clark. In 1978, Calder began working with Eddy Grant, helping him form his Ice Records. Later in his career, Calder would form the Big Wave Group and guide Jive Bunny and the Mastermixers to three British chart topping hits and join again with Oldham to write a biography of ABBA, The Name of the Game. At the time of his death, Calder still owned 49% of "Immediate Records, Inc.", which licensed all non-UK "Immediate" subsidiary labels. Presumably, Charly Records (owner of the remaining 51%) will buy Calder's stake.